The Summit had the chance this week to catch up with men’s basketball head coach Bill Dreikosen and the four seniors on the team: Tyree Anderson, Malachi Roberts, Sian Laine, and Danny Little. The four seniors all play a major role on the team, as do the other eight on the roster. 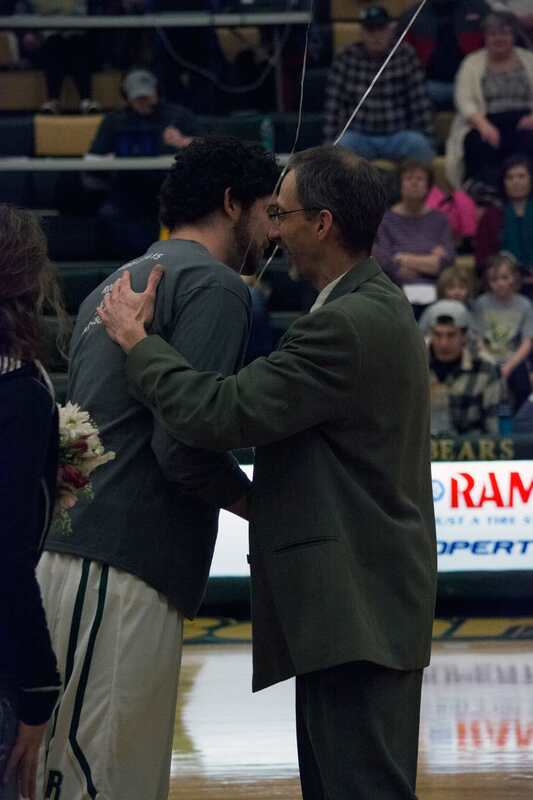 Bill Dreikosen is a veteran when it comes to coaching basketball for RMC. He is on his 15th season as head coach for the men’s basketball team, and has received multiple awards. One that sticks out most is in the 2013- 2014 season when he was named Frontier Conference Coach of the Year. He said that the goals for the rest of the season are to “play our best basketball by executing when playing, working hard and together.” Dreikosen is a significant asset to his team and is always coaching and driving his players to be the best they can be – on and off the court. Tyree Anderson, a 6’3” guard from Las Vegas, Nev., is a vital member of the team. 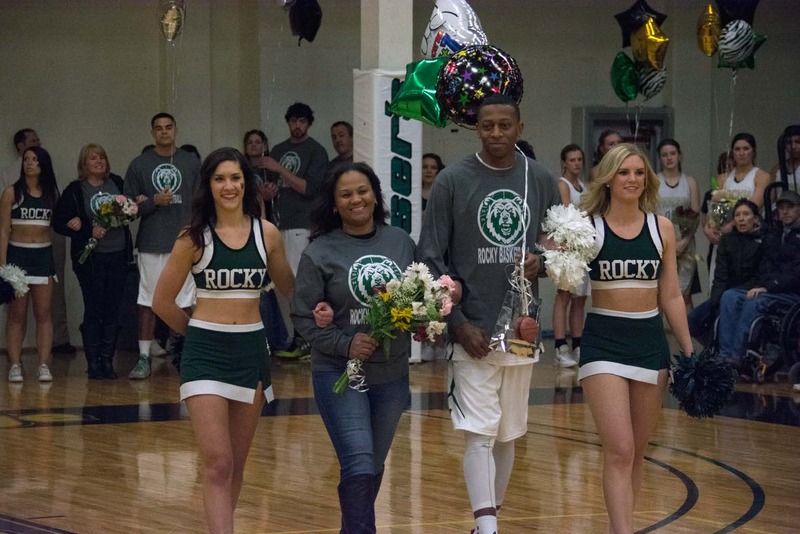 He came to Rocky as a junior college transfer from Miles City. He says his favorite memory was when he dropped 46 points in one game while playing for Miles City. He plans to get his degree in Exercise Science. Sian Laine, a 6-foot point guard, is also from Las Vegas, Nev. He was a teammate of Tyree at the same junior college in Miles City. He said, “the Westminster Conference Championship” was his favorite experience. He is pursuing a degree in Business here at Rocky. Malachi Roberts, a 6’4” guard, is a three-point shooter from Washington. He played at a junior college in Central Wyoming prior to coming to RMC. His favorite memory is also from the Westminster game. He said, “I hit six threes in that game and five were consecutive.” That takes focus and talent. He is getting his degree in Exercise Science and a minor in Business. The last member we met up with was Danny Little, a Billings, Mont., native. He is 6’8” and plays center for the team. 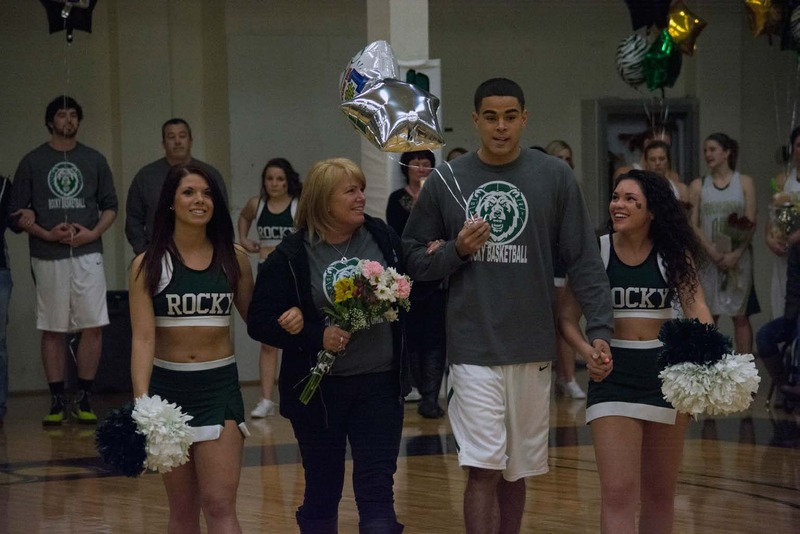 A favorite memory of his was, he says, “When I cut my hair for a cancer fundraiser and played in the basketball game.” He also said, “The team loves when the soccer boys show up to the games and do the chants they have,” including the one that is for him. 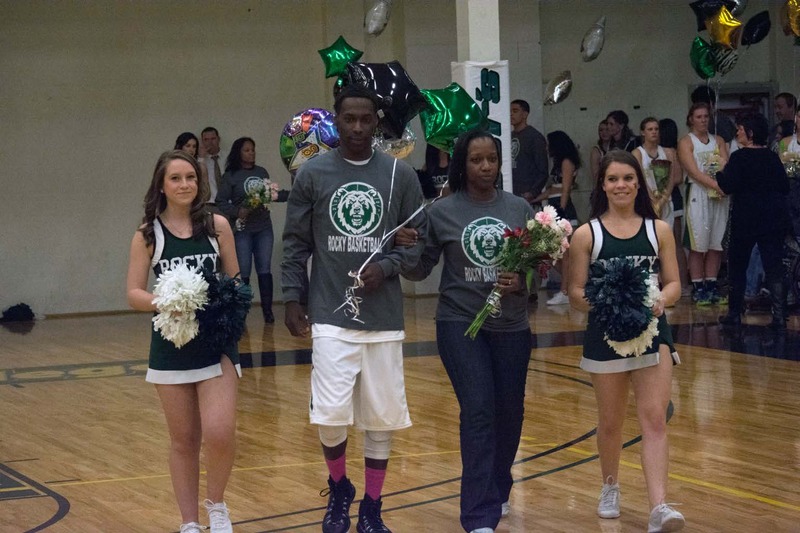 Danny is one tall player and will be getting his degree in Communications. The RMC basketball team will continue to play throughout the rest of the season with their heads held high and with intentions of playing to their potential. The four seniors will be missed in the coming season. However, like seniors from any other sport, they must move on. The team expects big things from the younger parts of the squad and the recruits. They already have one recruit, though they are still early in the process of getting more to join the team. Danny Betcher from Billings West High School will be a new addition to the team next year. As the season moves on, more opportunities arise and the team plans to take advantage of them.